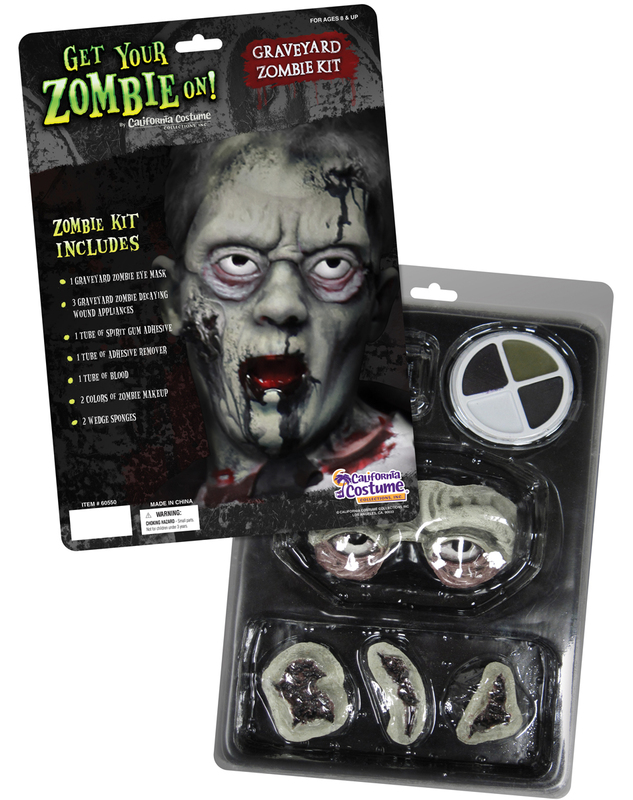 No matter what you wear if you really want to make your Zombie costume realistic, you need this Graveyard Zombie Kit. It's hard to look rotting and decrepit without a little extra help, even if you are the living dead. Get your very own Graveyard Zombie Kit or view more of the Best Zombie Makeup & Kits right now!